Learning to stay grounded is an essential component of maintaining your mana, personal divine essence and energetic life force. When you allow yourself to feel everything another is feeling or to take on their moods, there is no longer a conscious grounding force in this plane of existence to anchor you back. With careful intention, you can cultivate a powerful healing practice by learning to anchor white light and remain grounded while you access the Ike Papalua – the space of knowledge between the two realms of the earthly and the spiritual plane. Here are a few more tools to help you stay grounded. 1. Wear wood or something from the earth in a pendant or piece of jewelry. By connecting to earthly elements, we help our bodies remain grounded. 2. Have wood in your space. A simple way to stay grounded during moments of intensity is to have wood in your nearby vicinity. Choose a wooden statue or piece of art that is meaningful to you. It could be a Buddha or a Guanyin or a Tara. Personally, I use the legs of my table. Because it’s readily available, I just wrap my feet around the legs of the table as I’m working to physically ground my body through wood. Set the intention for grounding to earth, even if you’ve journeyed with the client to a difficult place. 4. Take a drink of red clay, alaea. Auntie Mahi Poe Poe’s Tonic contains a distillation of red earth. Basically, the red earth is boiled down and it’s condensation is captured in a process that traps the medicine in a molecule of water. You can take it internally without feeling like you’re “eating dirt”. Sandalwood is also very grounding rooting one to the earth and bringing mental clarity. Our Sandalwood Herbal Mist has the hydrosol and essential oil of Sandalwood. In feng shui, we learn that Earth element is the “mother” of all elements. It is creative. Life-nurturing. Stabilizing. Sandalwood is the most fragrant of the earthly scents. Remember, you just have to connect energetically with the grounding element. You could put your hands on it, you could look at it, you can wear it – anything to connect. In my healing space, I have a fountain made of stone and the water pours out onto the crystals in the bowl below. I always have hematite in there and other crystals too, just in case I need them. I have several other mana ola, practices to give vitality to your spiritual power, in my guide, “10 Practices to Ignite, Reclaim and Maintain your Personal Power”. Get it FREE by clicking here and please… share it with your friends. 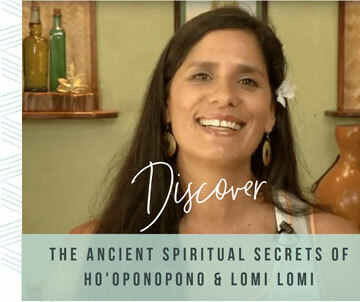 It really helps me to get the word out about the work we are doing at Ho’omana Spa Maui. I have 1 or 2 spaces in my Hawaiian Healing Retreat on Maui coming up. I’d love to see you there! Get all the details HERE. How do you remain grounded in your work and energetic travels? I’d love to hear from you in the comments below!